2018 saw the cancellations of Marvel’s Luke Cage, Daredevil and Iron Fist by Netflix. While the cancellation of Daredevil shocked many fans, it seems like the return of these shows isn’t too far away. Hulu’s Senior Vice President of originals, Craig Erwich was asked by The Wrap about the possibility of any Netflix shoes to revive on the service. Erwich hinted that the company is looking forward to continuing its partnership with Marvel. This does make a lot of sense, especially after reports claimed that the Marvel’s Netflix shows can’t air anywhere else for two years post-cancellation. Will Marvel’s The Punisher and Jessica Jones Meet The Same Fate On Netflix? 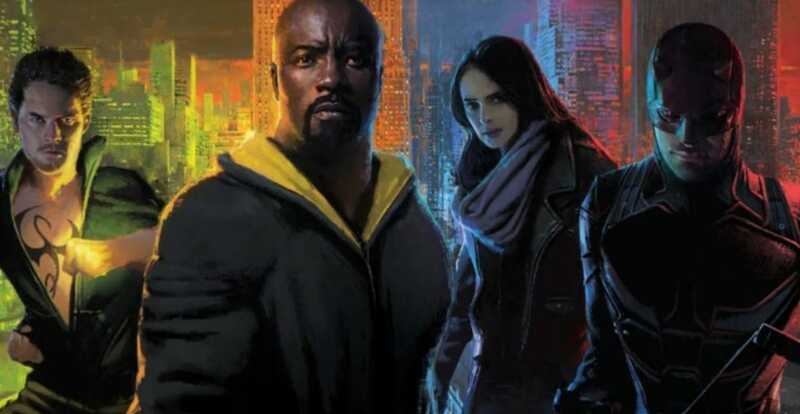 Marvel’s The Punisher and Jessica Jones still alive on Netflix, it sounds like could be a while before we see The Defenders making their way to a different platform. Meanwhile, Hulu announced their own expansion of Marvel world, with four adult animated series set to hit the service. The shows will be Hit-Monkey, Howard the Duck, M.O.D.O.K. and Tigra and Dazzler. These are being brought by creators, Kevin Smith, Chelsea Handler and Patton Oswalt. They will eventually team up into The Offenders. Also Read: Is (SPOILER) Dead In ‘Arrow’?